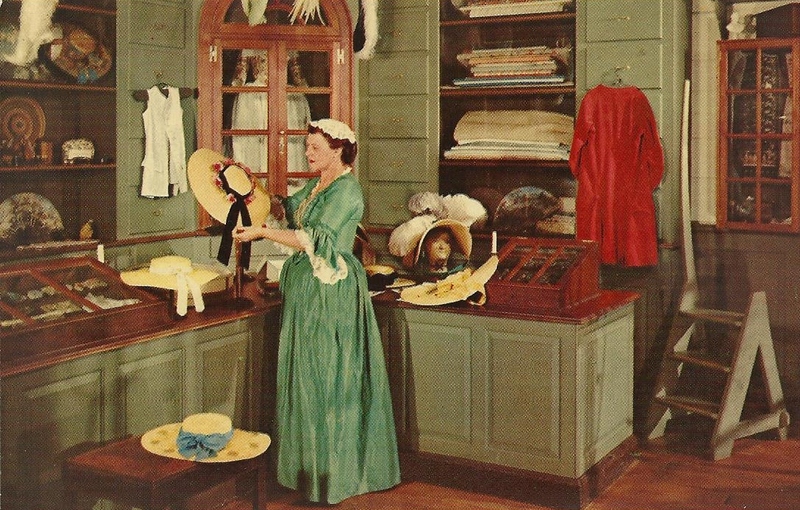 Once the favorite shopping place for eighteenth-century plantation owners' wives, this fine millinery shop is one of several operating craft shops in Williamsburg open without charge to visitors throughout the year. 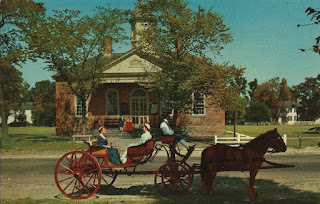 Built in busy Market Square, this structure served Williamsburg and James City County until 1932. The Declaration of Independence was proclaimed here in 1776. 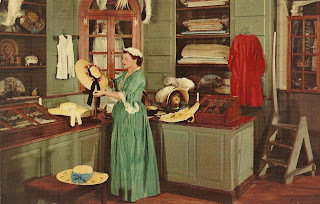 The building houses a free archaelogical exhibit. 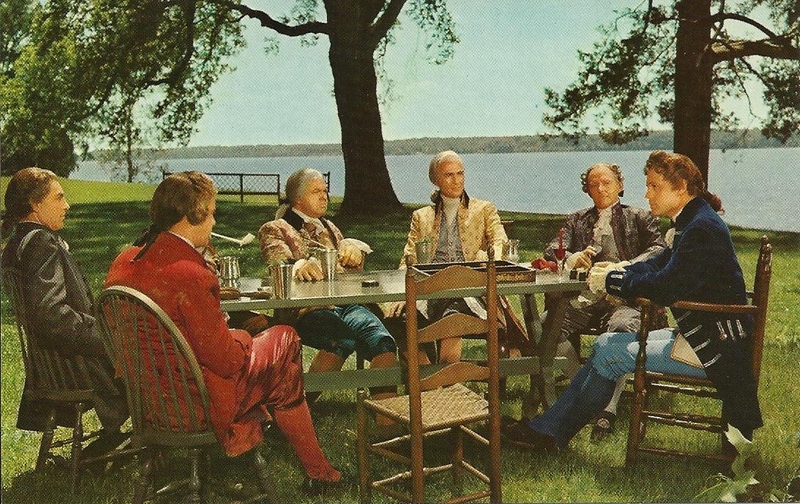 This scene from the Paramount-Colonial Williamsburg film "Williamsburg - The Story of a Patriot" shows Royalists conferring at Westover Plantation, the home of William Byrd III. Westover is 35 miles from Williamsburg, the colonial capital of Virginia.